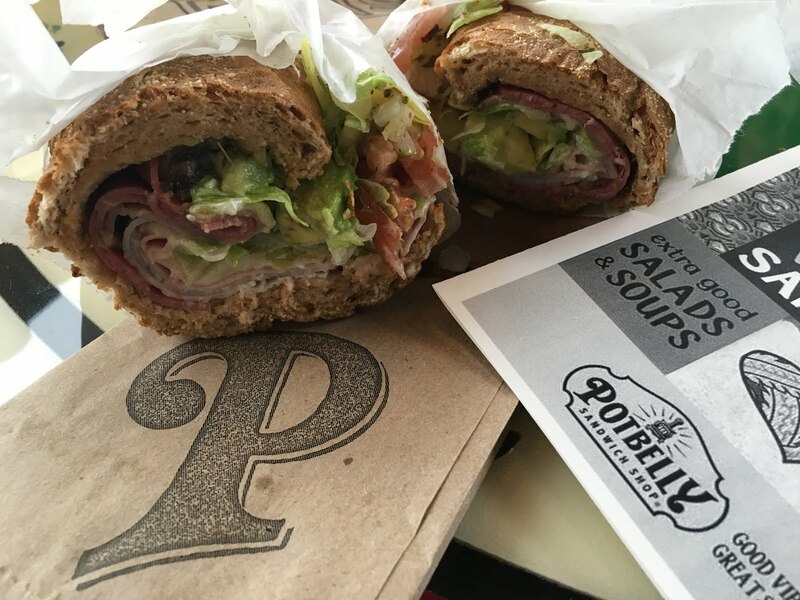 I was invited recently to stop in for a meal at a local Potbelly Sandwich Shop. I'm a newbie to Potbelly, with the exception of a rainy day a while back when I was under the weather and running errands. I stopped in for a quick cup of soup and was on my way. 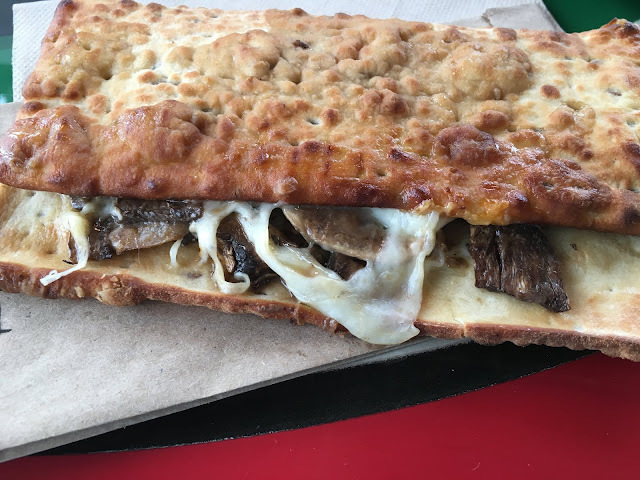 I am really glad I got an opportunity to stop in again and check out the chain because I found a new favorite sandwich - the mushroom melt. It is on the "Skinny" menu as a sandwich under 400 calories. 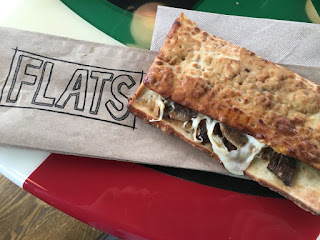 I opted to get mine on flatbread. This warm gooey sandwich on this toasty bread is one that I quite enjoyed. And really, it's not something that would normally be my first choice of sandwich because I often feel like I need some meat to be filled up. However, with three melted cheeses and a mound of meaty mushrooms, I felt very satisfied and I know this will be my go-to sandwich on future visits. Hubby came along for the visit so he got a sandwich called the "A wreck." That was his kind of sandwich, loaded with several meats and lots of veggies - salami, roast beef, ham and turkey with Swiss cheese on multigrain bread. 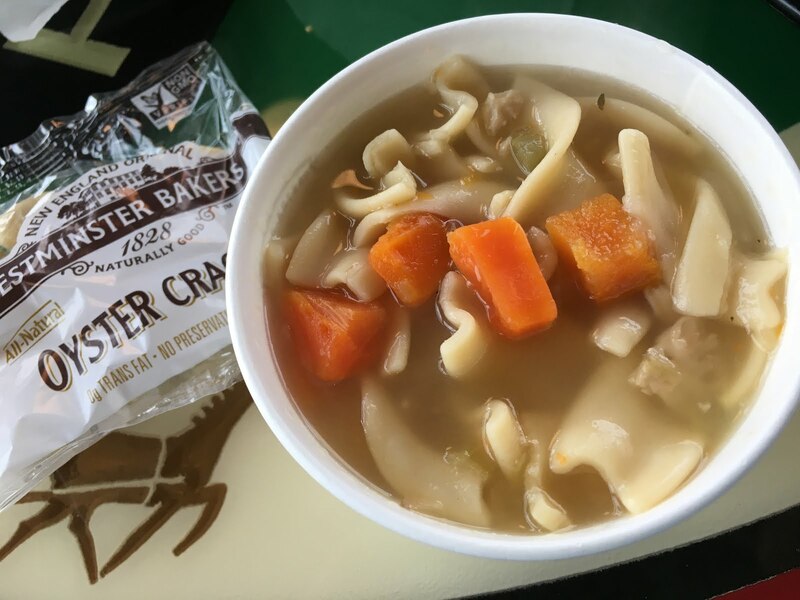 We also tried out the chicken noodle soup - a classic bowl of noodles, chicken and veggies in a light broth. The kind that grandma would make in her own kitchen and ladle out for you. We also split a salad, one of the protein-packed varieties called the "Clubhouse." It's basically Potbelly's version of a Cobb Salad with generous portions of chicken breast, eggs, crispy bacon, tomatoes and avocado on a bed of spinach. I tried it out with the citrus vinaigrette, which is very refreshing and complimentary. 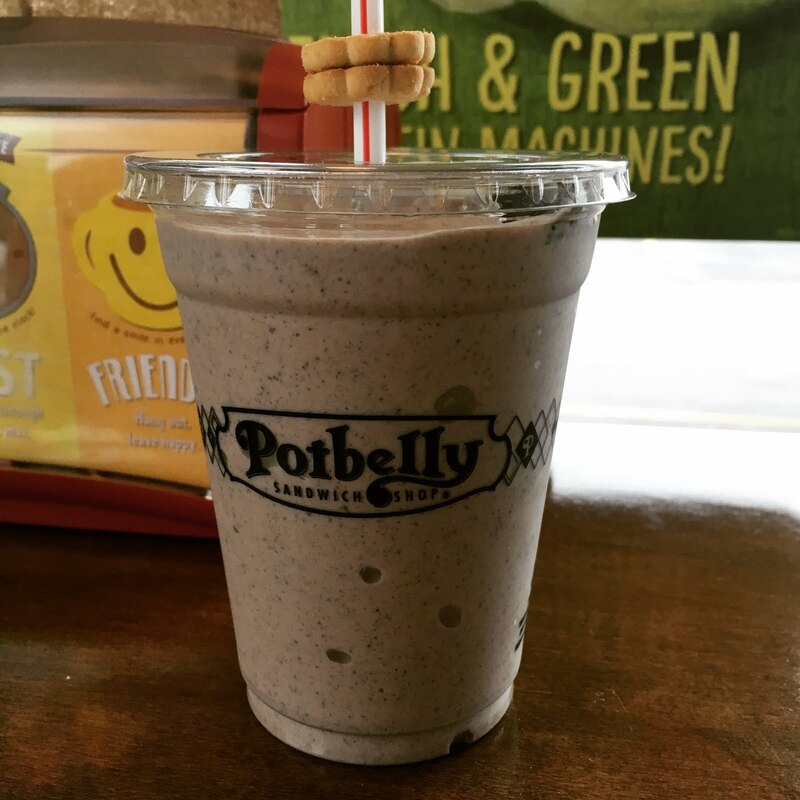 We also finished off the meal with a Cookie Collision Shake - Potbelly's signature shortbread cookies with Oreo and vanilla ice cream. What a decadent treat. One other thing I have to point out is this awesome table top that caught my eye when we walked in. 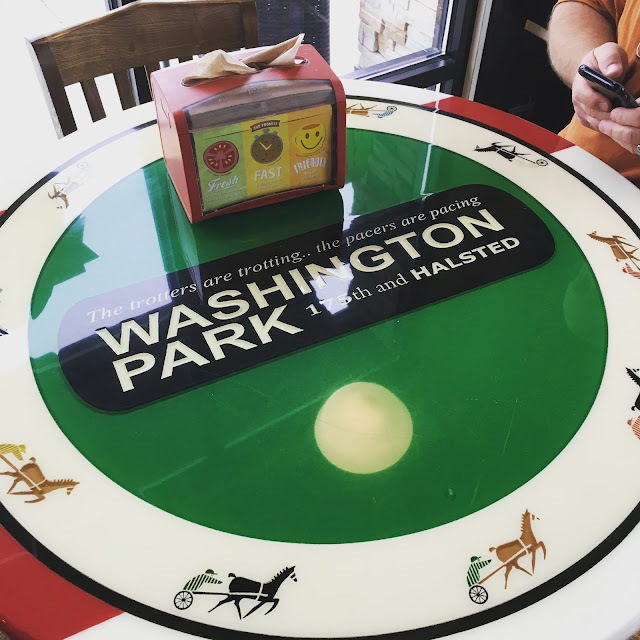 The location we visited was in Homewood, Illinois and the shop sits in a little strip of stores on a site that was once the Washington Park Race Track. I'm a huge history buff so I was just so excited about this fun little touch to the place. Isn't it super cool? About Potbelly Sandwich ShopPotbelly Corporation is a fast-growing neighborhood sandwich concept offering toasty warm sandwiches, signature salads and other fresh menu items served by engaging people in an environment that reflects the Potbelly brand. Our Vision is for our customers to feel that we are their “Neighborhood Sandwich Shop” and to tell others about their great experience. Our Mission is to make people really happy and to improve every day. 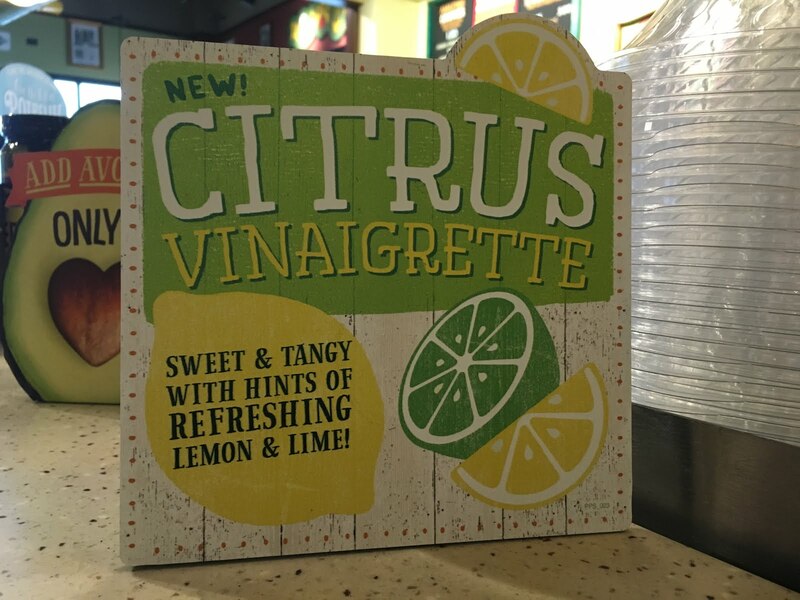 Our Passion is to be “The Best Place for Lunch.” The Company owns and operates over 400 shops in the United States and our franchisees operate over 20 shops domestically, in the Middle East and in the United Kingdom. For more information, please visit our website at www.potbelly.com.